Europe's next Mars rover, scheduled to be launched next year, has been named after DNA pioneer Rosalind Franklin, the European Space Agency (ESA) revealed on Thursday. 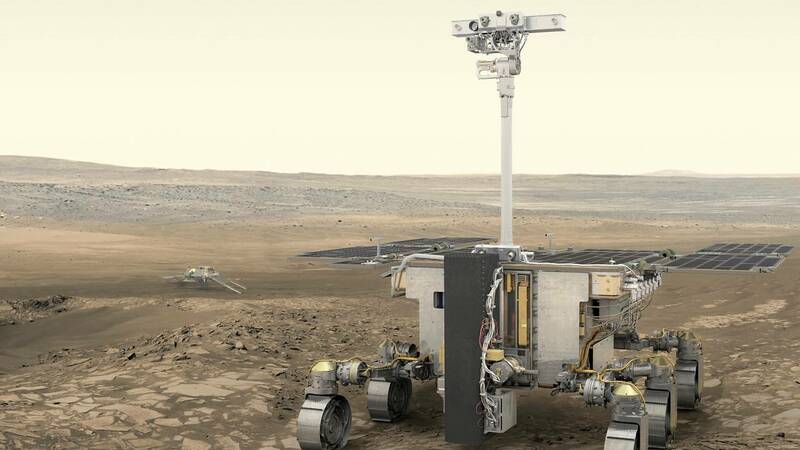 The rover's name was selected by a panel of experts from more than 36,000 suggestions submitted by citizens from across the ESA's member states. "This name reminds us that it is in the human genes to explore. Science is in our DNA, and in everything we do at ESA," the agency's Director General Jan Woerner, said in a statement. "Rosalind the rover captures the spirit and carries us all to the forefront of space exploration," he added. Born in 1920, Franklin was a British chemist and x-ray crystallographer — a scientist studying the atomic and molecular structure in crystalline solids. Her work, in particular the x-ray images she captured, were critical to the discovery that the DNA molecule is double-stranded for which James Watson, Francis Crick and Maurice Wilkins shared a Nobel Prize. But her contribution to the scientific milestone was only recognised posthumously. She died aged 38 following a two-year battle with cancer. The ExoMars rover is to be launched in the summer of 2020 and is expected to make landfall on the Red Planet in 2021. It will be the first to reach Mars with the capability to study the planet in depth and will do so by drilling down to two meters into the surface to sample the soil, analyse its composition and search for evidence of life buried underground. Data will then be sent back via the Trace Gas Orbiter which, since 2016, has been searching for tiny amount of gases in the martian atmosphere that might be linked to biological or geological activity. The ESA and its US counterpart, NASA are currently working together to define a concept for a sample return mission. "Returning martian samples is a huge challenge that will require multiple missions, each one successively more complex than the one before," ESA's Director of Human and Robotic Exploration, David Parker, explained. "We want to bring the Red Planet closer to home. We want to delve into its mysteries and bring back knowledge and benefits to people on Earth. "Returned planetary samples are truly the gift that keeps on giving — scientific treasure for generations to come," he added.